The Sammy Ofer wint is the newest and biggest develoment in the Museum’s history. Suitable for receptions for between 250 and 500 guests. 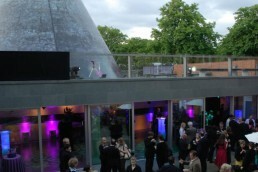 For larger events the Neptune Court within the National Maritime Museum itself, can accommodate up to 500 for dinner and 1,000 guests for a reception.